In the era of selfie Photography Micromax launched Smartphone for the selfie enthusiastic people with 13 MP front and rear camera with double flash, front camera has a LARGAN lens and a Sony sensor with flash; in the camera setting it has Makeup effects Skin smoothening, whitening, oil removal, face slimming, dark circle reduction and many other features. They have made a different look that Phone is curved from top and bottom edge and body is made up of plastic, while the back cover has artificial leather panel and the camera shutter button is placed at the right edge. The IPS LCD is protected with Corning Gorilla Glass 3 the screen is sharp enough with 312 pp display density but pictures become slightly blur when we start tilting the phone. Many applications are pre-installed such as App centre, Clean master, dr saftey, games club, Hello Tv, Hike, MiGames, Mi insurance, Opera max, Opera Mini, quikr, saavn,snap deal, Misecurity, MiLive, MAD, true Caller. Thankfully most of the third party apps can be removed. The CPU is powered with Mediatek MT6592 processor having 1.7 GHz clock speed with octa-core processor and 2 GB RAM is sufficient to run all the applications smoothly. It has 2300 mAh battery but not giving a long battery backup. OTG cable is supported in the handset. Smooth Flash is also placed along with front cam. Lollipop update will be available soon for this handset. Dedicated button for camera on right edge. The Apps can be moved to external SD card. 16 GB of internal storage; out of which 12.14 GB is usable. Can insert either Micro SD card or the second SIM, Dual SIM and expandable memory at the same time can’t be utilized. Display is slightly fade; not so sharp. Headphone along with handset is not so impressive. This phone has not-conventional design, heavy camera both the side with good hardware and software configuration. Camera is main attraction of this phone but in low light condition it is not able to capture high quality images while the outdoor pictures are great. I will not refer this phone to those people who wish to have a long battery backup; but this problem can be tackled by carrying a power bank with you. 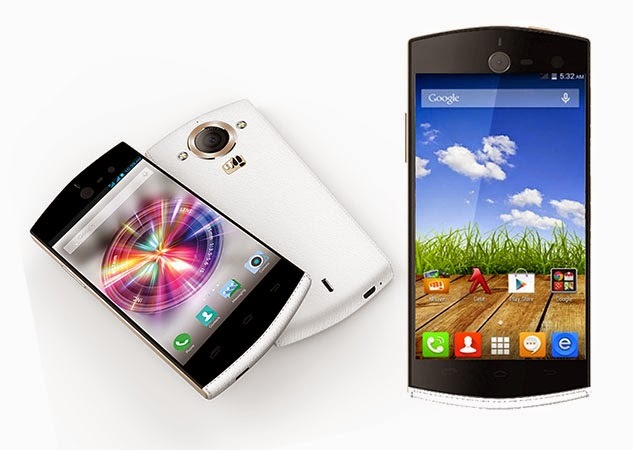 All the other features are good in the handset as its price range.